Our Mission is to facilitate the accomplishment of each athletic, performance and competitive goal for every client. We do this by offering highly effective training and nutrition advice. As part of the Source Endurance family, you are the priority. We work with clients across the skill continuum in sport and athletics. First time competitors and experienced veterans are given the same service as clients competing internationally. Mitchell’s brother helped him discover bike racing, transforming him from an overweight couch resident into an exceptional athlete, which unveiled a passion for the study of physical performance, especially cardiovascular and strength training. 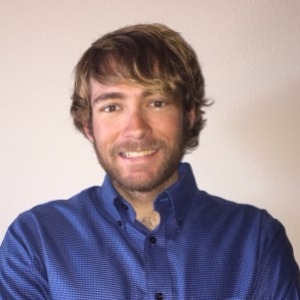 Promptly switching from engineering after his freshman year, Mitchell earned his Bachelor’s in Exercise Science in Fall 2015 from the University of Texas at Austin. During school, Mitchell participated in several research studies both as researcher and subject, gaining valuable experience in real world physiology and how real life affects training and performance differently for each individual. Through collegiate, local, and regional racing success, Mitchell earned a spot on the first Texas owned and operated UCI Continental Professional team, Elevate Pro Cycling. While a member of the Texas Cycling team, he found himself in a leadership position and enjoys giving back to the team through guidance in training, racing, and having a good time on bikes. Over the last year, this taste of coaching experience has motivated Mitchell to directly apply his studies and experience to help others achieve their performance potential with an eye on how each athlete requires a unique approach to training and racing. As a coach at Source Endurance, Mitchell works with endurance athletes in many disciplines, including road, gravel, and off-road cycling. Success. Coach Mitchell Sides has been notified of your message.